Prudential Astro Masters 2018 was announced just yesterday on TheStar. The first game is played in less than 10 days of this announcement. Explaining the decision to reduce the number of qualifying rounds from 19 last year to 10, event’s organising chairman P. Jeganathan said this was to “introduce more exclusivity” to the series. Golf requires more INCLUSIVITY than exclusivity than ever before. Big golf clubs like TPC Kuala Lumpur, Tropicana Golf & Country Club, Templer Park Country Club, etc who used to be exclusive clubs, have now opened doors to the public to walk in to play anytime. This is due to declining revenue from members, and the need to open it up to more golfers, to increase revenue from the public. So why would ASTRO and Prudential want to make golf more exclusive? Are they looking to limit the growth of golf? 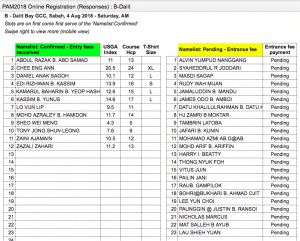 You can check out the rest of the participants here. Maybe it IS the plan to limit the accessibility most golfers out there, making it “exclusive”. As much as we hear about the big name courses all the time, the people who play there are normally either members, who don’t contribute to green fees, or guests, who go mainly for promotions with big discounts offered by the clubs. 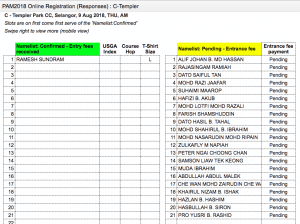 The majority of golfers, still golf at golf courses at the RM100-150 level, hence the RM350-450 price tag prices most of us golfers out. “Thus, we hope that tournaments such as the Prudential Astro Masters will continue to provide opportunities and platforms to discover more local golf talent. And as a proud supporter of dreams, we believe that everyone deserves a chance to try and succeed.” Prudential Assurance Malaysia Berhad Chief Customer and Marketing Officer Eric Wong said. Super conflicting. How are we going to discover more local golf talent by cutting qualifying rounds by half? Is it saying that we want to limit the discovery of local golf talent by 50% of what we used to be able to do? So, either ASTRO or Prudential were deciding, “We don’t have enough budgets this year, let’s reduce the games by half” or “maybe should we even just cancel this whole game?” Maybe all these decisions delayed the announcement of the games to the last minute. Anyway we always hope for the best in golf, not just in Malaysia, but all around the world. Starting just in a few countries around SEA, we understand that barriers to golf are 1) costs, and 2) finding people to play with. 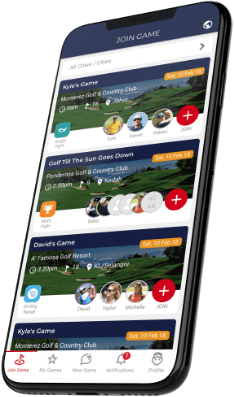 While costs are something the golf clubs can help with, the Deemples Golf App helps current and new golfers to be able to find another golfer who they can golf with, whenever and wherever they want. It’s our goal to always make golf more inclusive, breaking the barriers that stop golfers from golfing, and encouraging more people to pick up the game, growing the golf industry in the meantime. i think you can check on their website? thanks!